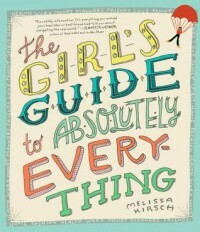 Every woman starting college or just starting out in the real world, like me, need this book. It covers "EVERYTHING" from dating, friends, how to apply for a job, college life, money habits, and SO much more. This book is going to help me so much in my near future. I don't know how I came across this book but once I found it I felt I needed to have it. It's not the kind of book you sit and read the whole thing over a few days, I mean you could, but it's more of the kind of book you pick up randomly and read bits and pieces of. It's kind of like a guide book where you look up something that is relevant at that point in time, if you understand what I'm saying. Anyway, I think this is a great book for young adult women in their early to mid-20's. There are some things I don't quite agree with, hence the -1 star. But all in all, there is a lot of good information about everything under the sun relating to life in general packed into less than 600 pages. Definitely worth reading, and having on hand.